Ref: John Daley, Lorne Street, 1974, Sir George Grey Special Collections, Auckland Libraries, 7-A13628. I knew that the tōtara planted hard against the library edge was planted for R. A. K. Mason but the plaque has weathered in this exposed comer of Rutland and Lorne Streets. When I saw the photograph by John Daley of the new building the decision to plant a memorial here made sense. This is a resonant corner with a new modern library and a wow factor. I researched the back story in the library's own New Zealand Card Index, now digitised for convenient access. The two articles indexed from the New Zealand Herald give a sense of the difficult road to achieving Mason's memorial which the simple plaque text gives no indication of. They are also an insight into the value of this remarkable index. 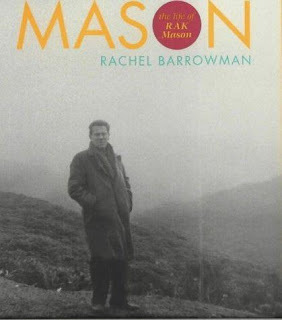 R. A. K. Mason died on 13 July 1971 and by the end of that year there was talk of an appropriate memorial for the 'first among New Zealand poets'. The proposal was rejected by the Auckland City Council “unless there is evidence of substantial public support for the suggestion.” Objections to a tree memorial include the usual anxiety about maintenance and long term concern about siting (New Zealand Herald 18/9/71). “R. A. K. Mason stands first among New Zealand poets: first in time to display a unique gift, and first too, by a formidable consensus of opinion, here and overseas, for the fineness of his best lyrics. It takes very little imag­ination to visualise such a local cultural necropolis or the arguments about who is, or is not, outstanding.’ If the word means anything, it must mean just that. This man indeed stands out. Let any memorial to him, however modest, do likewise in some frequented public place, where the passer-by or visitor may note it, and re­flect that Auckland is a city where such men are honoured and pride is taken in them. If Mr McCahon’s ideal of a memorial tree behind the new library finds more fav­our, I would not think of pressing my own. 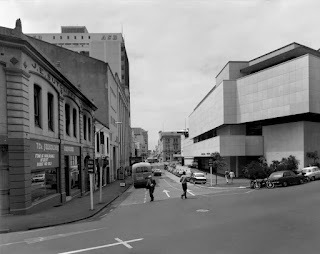 This meant that a few years later it came to pass that in 1974, instead of a stone or bronze memorial a tōtara was planted outside the new city library. Special thanks are due to Allen Curnow, Joe O’Neil (Technical Services and Acquisitions Librarian) and Colin McCahon for pursuing the project. The tōtara was planted alongside the simple plaque. The tōtara has not thrived. The gum tree in front overshadows the corner and the concourse is currently more of a corridor/wind tunnel with construction in front. Timespanner made similar observations on the struggling tree and the plaque in 2011. This may change when the St James restoration is complete and the library's next stage of refurbishment is achieved. It is noteworthy that Curnow referred to the back of the library as the entrance location, something that may be addressed in further refurbishment. It seems appropriate to have a living memorial as Mason was a plantsman. At one stage he had a business, Mount Eden Gardens on his property. When he visited China in 1957 he travelled with almost 100 native plants for the Botanical Institute. His proposed biography of Rewi Alley didn't eventuate but the trip energised him and his writing. See 'A Hundred Thousand Blessings' (for China) (Barrowman, pp.339-340). For an insight into this native son’s life I recommend Rachel Barrowman’s exhaustive biography published by VUP in 2003. Ref: Rachel Barrowman, Mason: the life of R. A. K. Mason, Auckland Libraries, 920 MAS. Mason started early as a poet. He published his first book, The Beggar in 1924 and became a legend in the NZ literary canon for throwing most of these slim volumes off Queen’s Wharf. He attended Auckland Grammar School and enjoyed the friendship of fellow poet A. R. D. Fairburn. At that stage he lived at 451 Great South Road in a villa later to become part of Penrose High School. He was immersed in the Auckland literary scene as editor of Phoenix at the University of Auckland and later the trade union scene including co-editor of the Peoples Voice in the more diverse university of the people. He was a great walker and talker. Not so good an actor but he appeared in many plays as well as writing them. 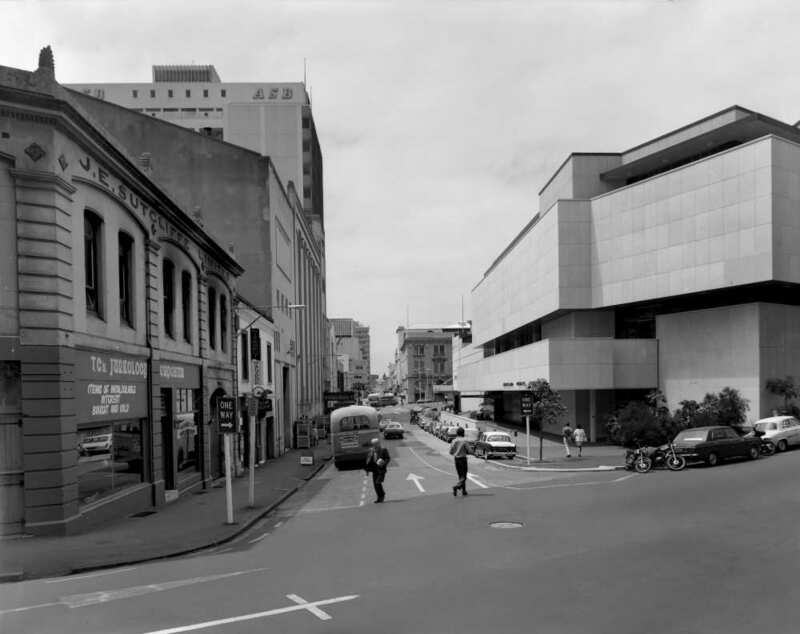 Most of his life was spent in Auckland but as Burns Fellow in 1962 he connected with the South when based at the University of Otago, Dunedin where he celebrated his Celtic ancestry and wrote the play, 'Strait is the Gate'. He also spent some significant months in Samoa in 1931. When living in Takapuna in the 1960's he felt isolated, "I never cease to curse the people who built that Bridge without a footway.” His friend Frank Sargeson on the Esmonde Road motorway on ramp agreed. The Barrowman biography uses resources from the Hocken and the Alexander Turnbull libraries primarily for unpublished content. Mason’s links with twentieth century NZ writing and culture mean that he is present in diverse research collections. Mason’s mother Jessie (Jessie Forbes Kells) worked at the original Auckland Public Library from 1892-1898, in what is now the art gallery. In 1892 Sir George Grey presented her with a copy of his biography. The Library was an important site in their family landscape. of a lone crag . . . Woman I cannot stay. and tell me stories and tuck me up at night. We will ensure that his 'Masonic' books are not neglected. 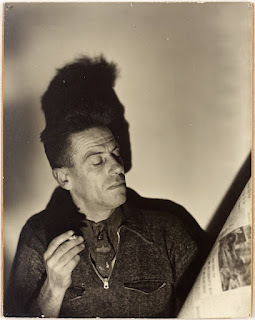 Portrait of Mason, 1947, by his friend and political ally Clifton Firth. Ref: Clifton Firth, R. A. K. Mason, 1947, Sir George Grey Special Collections, Auckland Libraries, 34-307. Let Mason have the last word reading aloud ‘Be Swift O Sun’.